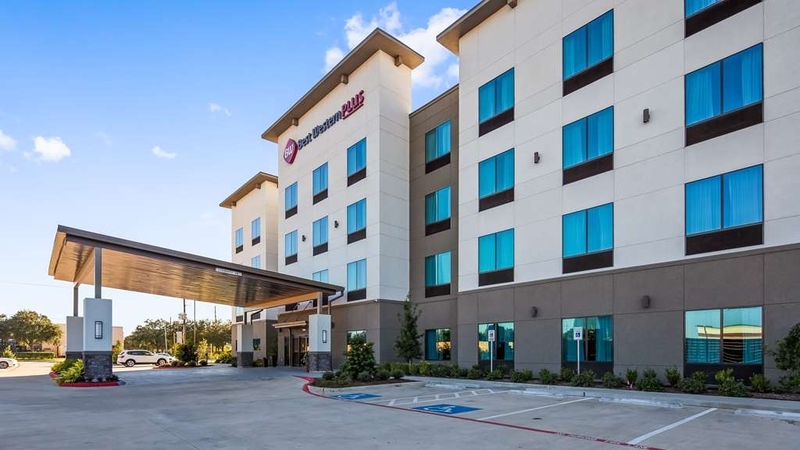 Il Best Western Plus Houston I-45 North Inn & Suites è situato nel centro di Houston. L'hotel è vicino alle principali attrazioni turistiche. Approfittate tutto l'anno del miglior prezzo garantito e di offerte esclusive. 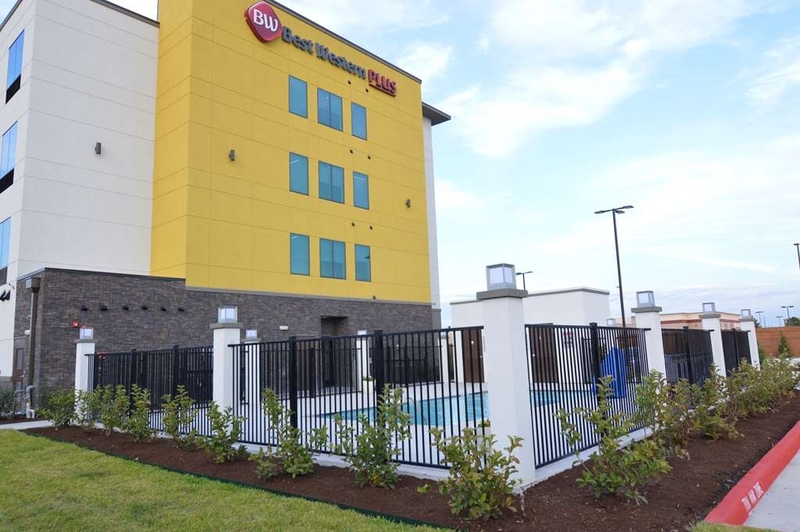 Benvenuto al Best Western Plus Houston I-45 North Inn & Suites! 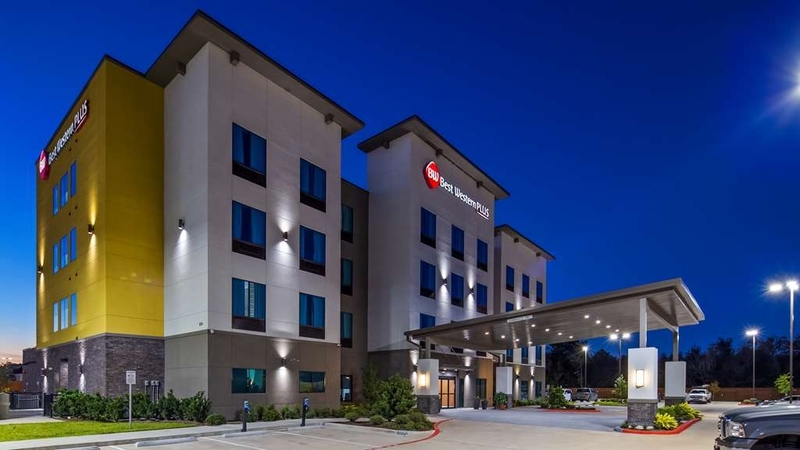 Gli ospiti apprezzeranno l'aggiunta più recente al distretto North Houston!Il nuovissimo Best Western Plus® nel distretto North Houston offre agli ospiti dell'area metropolitana di Greater Houston le ultime tendenze del settore alberghiero. 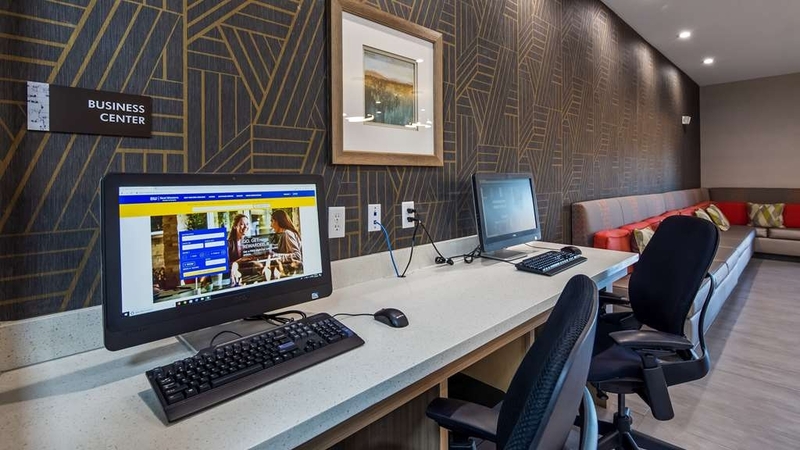 Il Best Western Plus® è situato in una posizione comoda, nei pressi della Interstate 45 e della North Sam Houston Toll Way e offre un facile accesso ai principali aeroporti e autostrade di Houston per permetterti di spostarti durante i tuoi i viaggi. Sei alla ricerca di attività per famiglie? Potrai apprezzare attrazioni quali il Sam Houston Race Park, il parco acquatico Wet'n Wild® Splash Town, il Top Golf, l'Old Town Spring e numerosi negozi. Sei qui per lavoro? L'hotel si trova inoltre nei pressi di numerose aziende della zona, come Baker Hughes, Sysco®, McLane® Company, Inc. , ExxonMobil, Exterran®, Halliburton, Nabors Drilling e molte altre. In ogni caso, tutti i nostri ospiti potranno approfittare di una delle nostre spaziose camere non fumatori. Offriamo ai nostri ospiti un business center aperto 24 ore su 24 e dotato delle tecnologie pi# moderne, una deliziosa colazione all'americana completa gratuita, una piscina con acqua limpida e sala. Per gli ospiti più sportivi offriamo una palestra dotata delle attrezzature più recenti. Amiamo i nostri ospiti e vogliamo che si sentano come a casa. 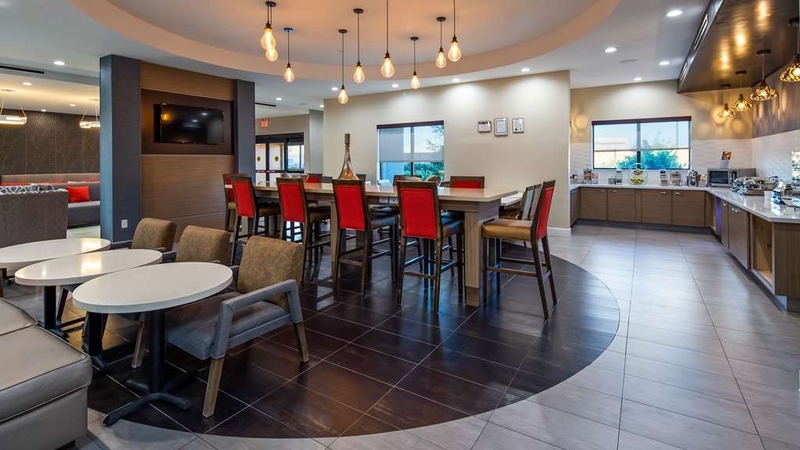 Il nostro obiettivo è far sentire i nostri ospiti come a casa nel Best Western Plus Houston I-45 North Inn & Suites. La tipica ospitalità del Sud degli Stati Uniti e la comoda posizione rendono il Best Western Plus® la scelta migliore che Houston possa offrire. Durante il tuo prossimo viaggio, soggiorna da noi: ti faremo sentire in famiglia. It was a great stay and very friendly staff. Also I would like extra points for the great review. I will continue to stay here every chance I have when in Houston. Really recommend this place to anyone. 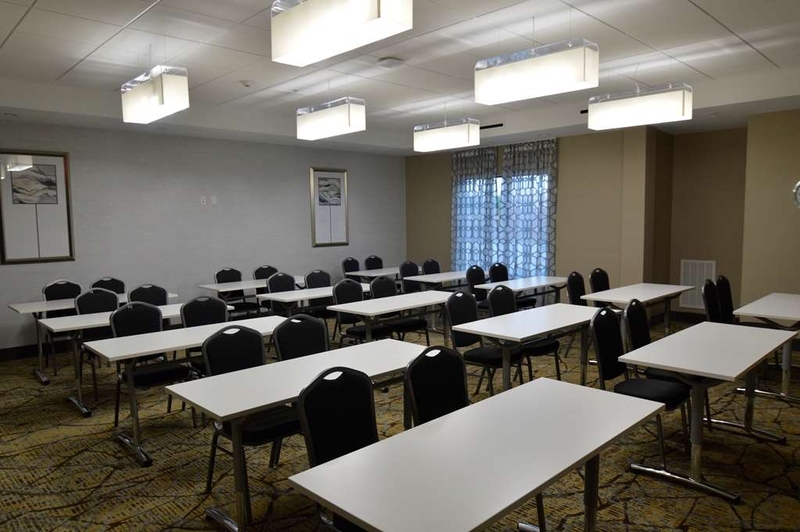 Be ready to be amazed with the location, service, and the room was very nice & large and the bed was so comfortable, you can rest in a quiet location to block out all the other distractions that are going on. We just stayed one night after flight from UK before driving to San Antonio. When we arrived front desk staff were friendly and helpful. Checked us into room 410. On arriving to the room, we found it had not been made up. Pizza boxes by TV,bed not made and bathroom horrible. The hotel wasn't full so could not understand why they had not managed to clean the rooms. Had to go back down to reception.They upgraded us and that room was ok. Although only 3?pillows not 4. Odd number for a king size bed. As we were so tired could not be bothered to complain again. Pool looked clean but no chairs to sit outside on. Breakfast was good and room kept clean all the time. Let me start with the positives. The room was big and the bed was comfortable. The lobby was nice and the breakfast was decent. The negatives are that the bed only had 3 pillows for a king and were not the best. The towels had holes in them. When we took a shower there was no hot water. When I called the front desk, the clerk said it was "impossible" that there was no hot water. I asked him to go check because I wasn't lying and was calling for a reason. He later called back and said some switch had been shut off. Didn't apologize at all. That night on our way in the clerk said a truck had been broken into during daylight hours. On our way out the next day, we were going to leave a car there to go run errands but the front desk clerk said to leave it but it would probably be broken into. Ummm.....not staying there again. You will have to be worried about hot water and about your vehicle. Not the best place to stay. Thank you for stay we appreciate your review and will work on fixing the issues which you have experience, you have a nice and blessed day.. we would love to have you back on your next Valentine's weekend gateway. very nice place, stay there often, the front desk staff is nice and friendly when they are not doing something else like washing the hotel laundry or making breakfast, sometimes hard to find. not enough towels in the room and only 3 pillows. Stayed 2 nights. Staff was pleasant. House keeping did a great job. Lots of free parking. The complimentary breakfast was really good! There was shredded cheese, diced onions and salsa to add to your eggs! And of course the Texas shaped waffle machine. 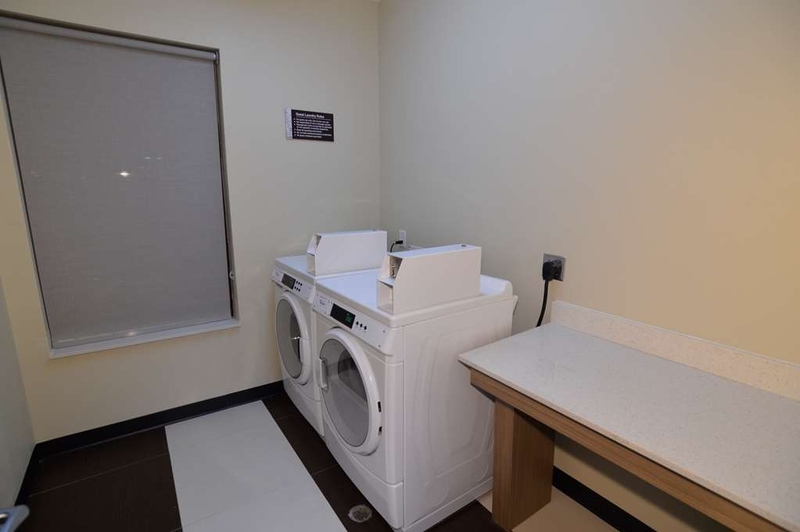 There is laundry on site, and an outdoor pool. Restaurants and shopping very close. The beds and pillows were very comfy! Only downside is you can't lay in bed and watch tv. It was at an odd angle. And the curtains in the room couldn't overlap and close, so it was pretty bright in the room at night. But overall, a good stay! "Most unfriendly & unwelcoming place!" Worst customer service I've ever had.! First there was no one in the front desk I waited 10-20 min along with another customer that just gave up and walked away.! I called the front desk while I was up there thinking maybe they would come because the phone that was ringing and still nothing.! Then I had got a room with two beds and only ended getting two towels instead of four. When I went to get more I was given a hard time getting them.! Then they asked me to bring down the dirty towels to get clean one.! I was so upset considering that I would have to go all the way up to the 4th floor and come down just for a couple towels.! It is a very beautiful place but worse customer service I've ever had.! "Roach infested...no suprise to staff"
Following checkin, I overlooked dead incests in the cornor of my room. But was after finding dead roaches in my iron i complained to the front desk. The attendant was not surprised and only offered to exchange the iron. He just left it on the lobby/table, did not even offer an apology. This issue could have been overcome with him delivering the iron, offering and apology and promising to have a maid/tech inspect my room at a later time. 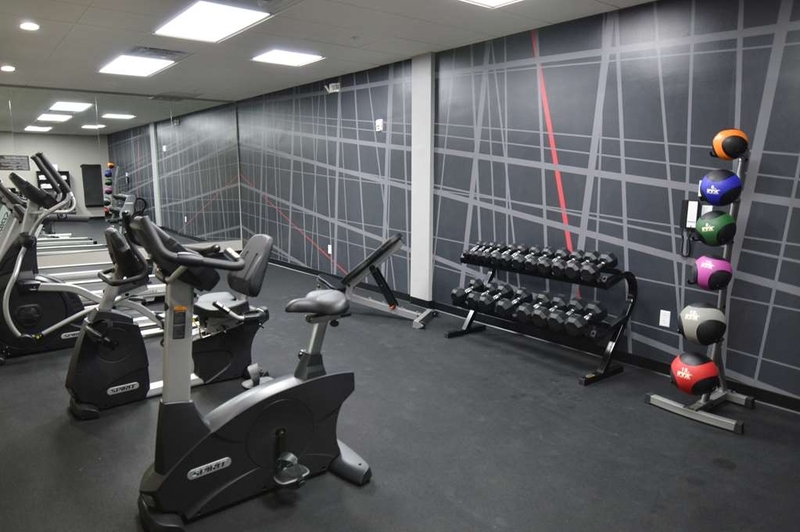 I dont want this incident to overshadow other staff that were nice and professional, nor the beautiful decor of this new facility, however similar reviews have been made about the incects. I hope hotel management corrects this matter promptly. Hi Ms. Yvonne, on behalf of our staff I want to send a sincere apology that you did not enjoy your stay with us. We pride ourselves in providing each guest with true "southern hospitality". From our front desk team who welcomes you at check-in, to our housekeeping staff that ensures each room is impeccably clean, our maintenance team that makes sure everything in the hotel is working up to par, and our management team that leads with efficiency and integrity we work as a synergistic team to make sure your stay with us is as comfortable and warm. We are a brand new hotel built from the ground up (we are less than a year old) so insect infestation we do not have in our hotel. Our pest control staff ensures a weekly treatment consistently so that our guests never have to encounter Texas size bugs. If our guest ever encounter a problem we try to remedy the problem as swiftly as possible. We do hope you join us again in the near future. 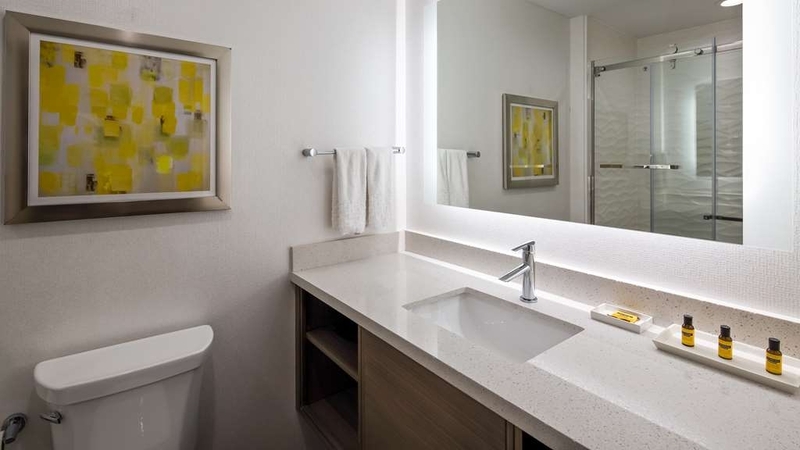 "i am not hard to please at least i don't think"
I am very please with the service and the hotel itself very clean and sleek look of course cause its new! so go there and enjoy a stay there while you can! the breakfast was very good and they have good hours for the breakfast times too! the bed and the shower i just fell in love with omg! i slept like a new born baby. I did not get the chance to try the pool out but i will the next time i go! We are glad from all of our staff and management that you have enjoyed your stay with us. We will see you when you come back and stay with us again. the young lady at my check in was amazing, friendly and personable, she truly cared about her guests. she is the employee that makes a business. the only time someone treated my this well was at another best western, but she no longer works there. because of the way i was treated so well here, this best western will be my go to from now on. "Very Good North Houston Hotel"
I make every effort to visit Houston at least once a year. 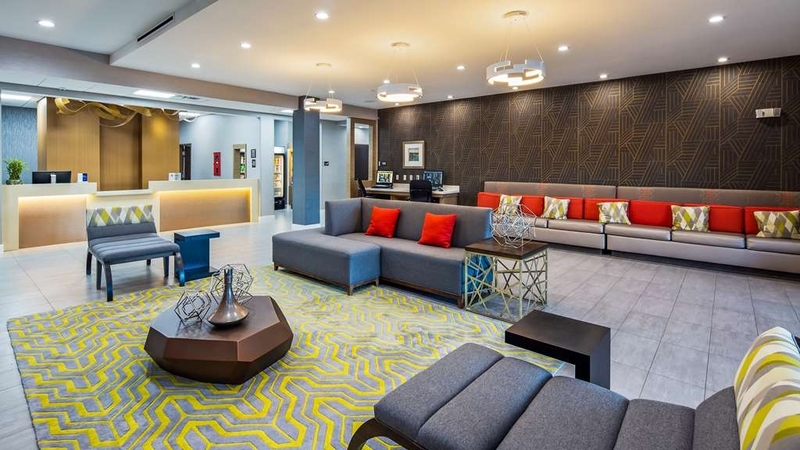 Since I'm a rewards member with Best Western, I decided to take advantage of an opportunity to experience one of their newer properties (having just opened last December). 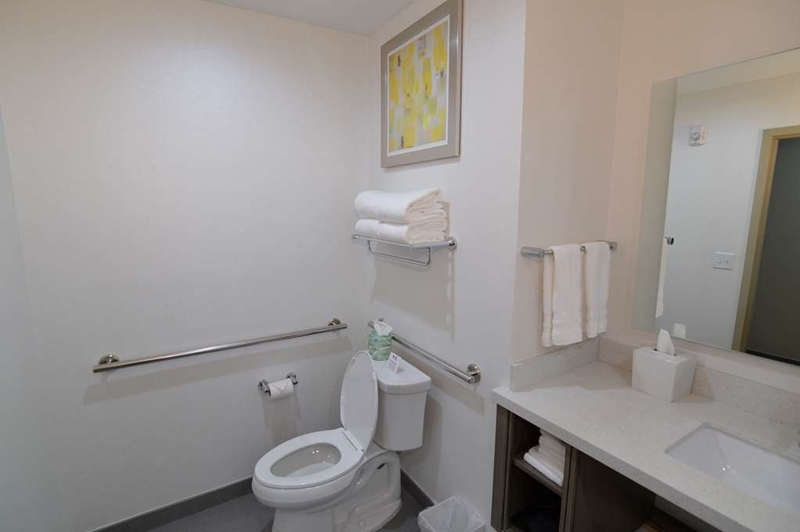 The Best Western Plus Houston I-45 North has a lot to offer. Had minor problems upon check-in, but got things resolved quickly and proceeded to enjoy my five-night stay. My room was very good, with great air-conditioning and a fantastic walk-in shower. 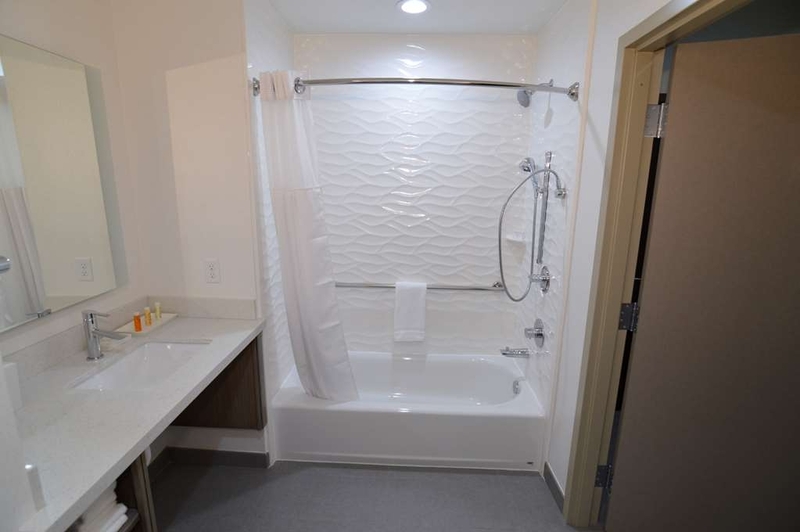 I raved about that shower all week long, and it was refreshing as opposed to a dual-use bathtub. Good television with great choices. Got some decent sleep with a medium-soft bed, but that's no different from most BW's I've been to in the past few years. 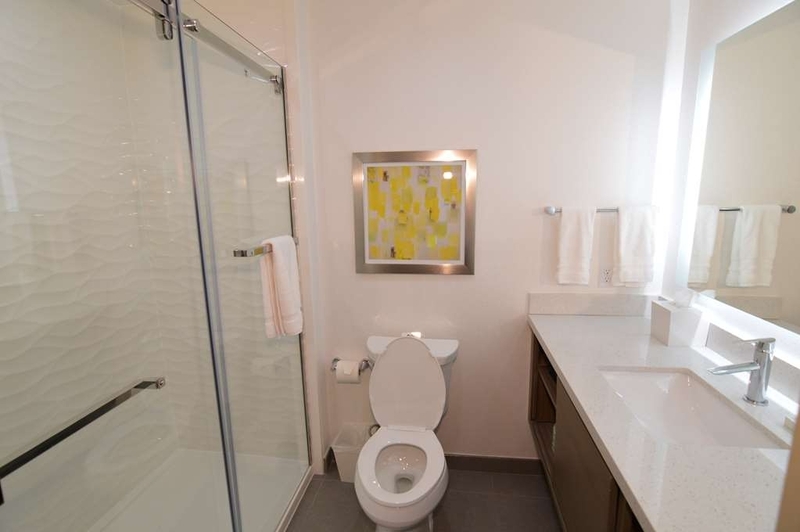 Location is very good, especially when you want to do things downtown. The only problem I had was with the dolly. It was too narrow and small and cannot accommodate four to six luggage/other items and was not the typical size you usually would get in any Best Western. So, needless to say, I had to make three trips back and forth from the car to the room in loading and unloading. All in all, though, great experience for the money. And they've even got a fast elevator, and very futuristic, so that part of the trip was also worth the money spent for this. 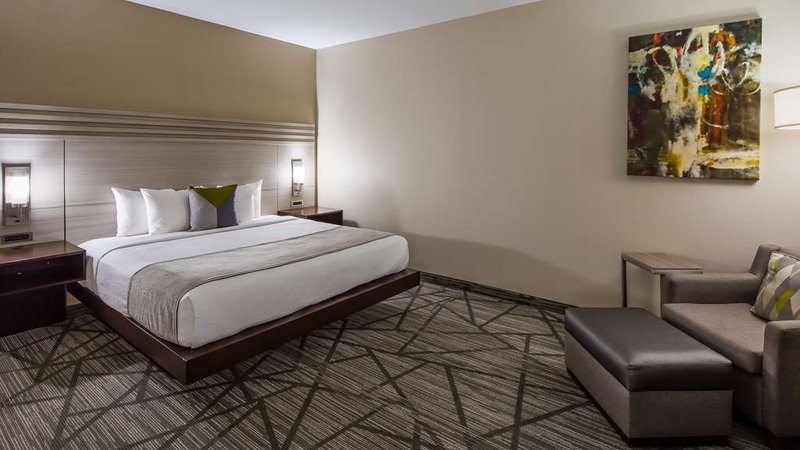 Make this hotel your go-to whenever you stay in North Houston. It's 15 minutes to The Woodlands, 15 to Willowbrook, 15 to 18 to Downtown, and 15 to 20 out to Bush Intercontinental. Give this BW a try! I'll be back. "This hotel has no shuttle for airport." The bed was very comfortable, nice big room with a really nice reading nook, the room pool and workout room were clean, and they serve a descent breakfast. I would definitely stay here again. Staff was very helpful and kind. We are so happy to hear that you were pleased with your stay. 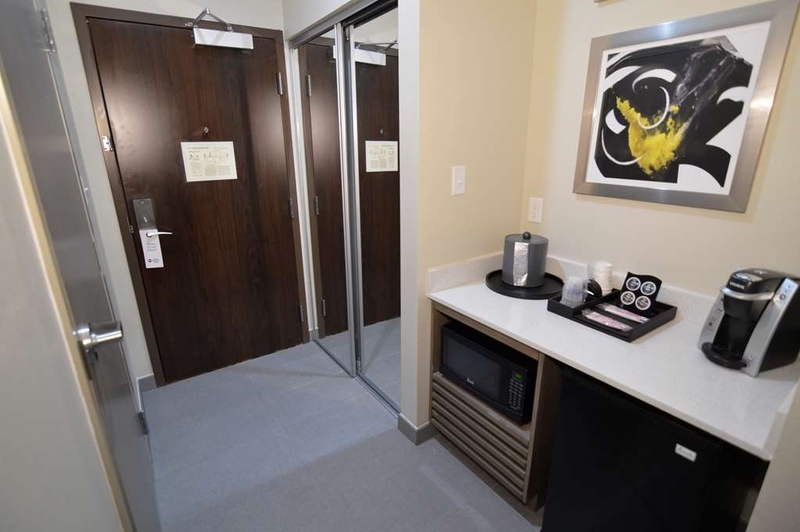 We aim to make sure that each guest has an amazing and comfortable stay with us. We acknowledge your feedback and look forward to serving you again. Thank you for choosing us for your lodging needs. The rooms were excellent. Clean and looked to be recently renovated. The breakfast was pretty basic and the eating area was crowded as the food is tucked into a corner. Price was reasonable. Overall, would stay there again. 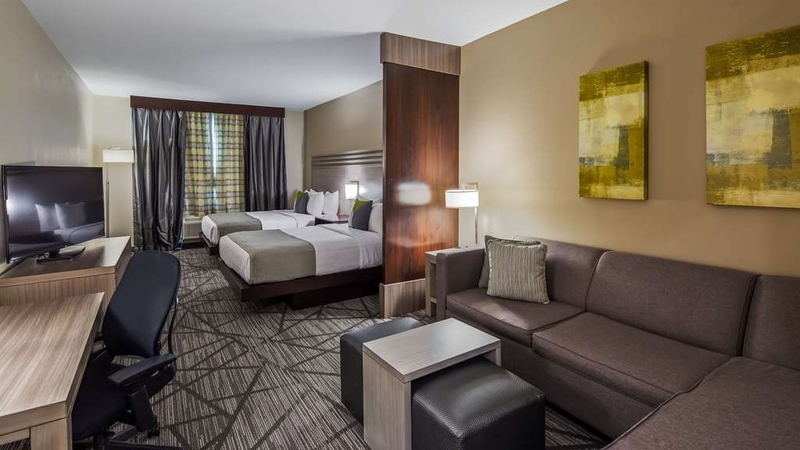 "Great Stay and great price!!" When I booked the room, even though I saw the pictures I was a little worried as the price was so good. But when we got there, we were pleasantly surprised. Great staff and great place to stay. Will definitely return!! This was a nice new hotel. WiFi worked well, breakfast was tasty. Rooms were nice but I would have preferred soap vs a tiny tube of shower gel as that didn't go very far. Did not try out the pool. It was located in the front parking lot which was an odd spot considering the rear would have been more private. The employees were new so they seemed to have difficulty checking me in, checking me out, or even just charging a soda to my room. There is a big old stray dog that hangs out in the parking lot but the staff assured me he does not bite. They might want to think about hanging something outside their windows on the end facing the rear parking lot to keep the birds from flying into them and dying. I saw it happen twice and it was sad. This place was amazing. From the moment I stepped in till the day I checked out. The experience was awesome and the breakfast was delicious. The courtesy of the employees was impecable! Would stay here again!! Nice and clean place we love it!! 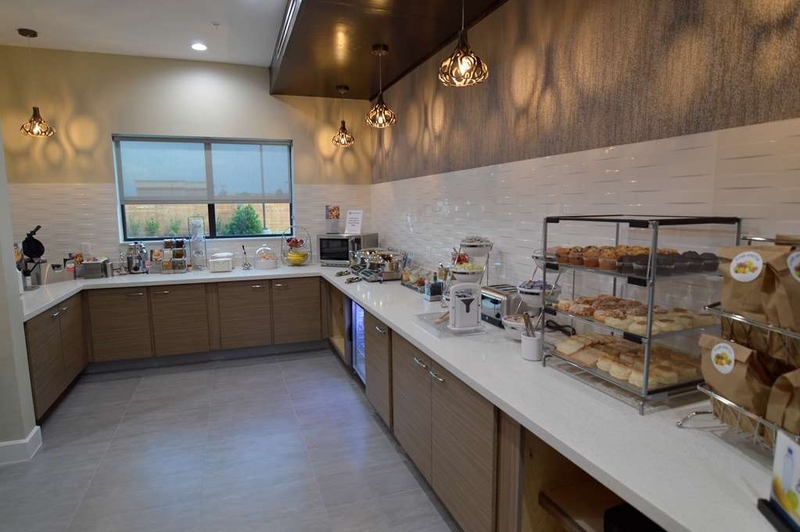 the room was extra clean, employees were always smiling and breakfast was perfect! 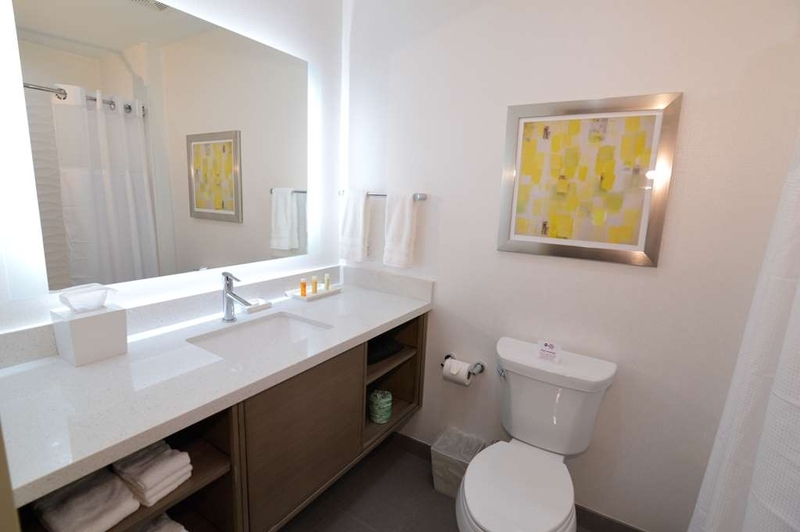 location is very convenience it has everything you need around. I really recommend this place. 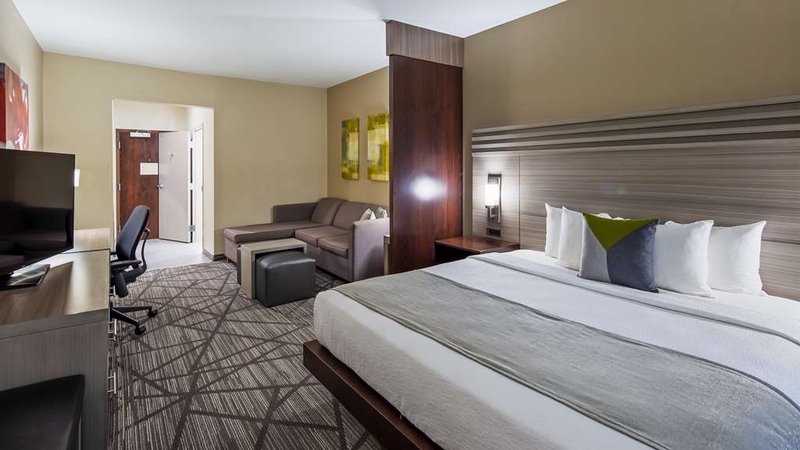 Other than the regular Houston traffic, this hotel is close to shopping, entertainment and restaurants. Very quiet and excellent relaxation. 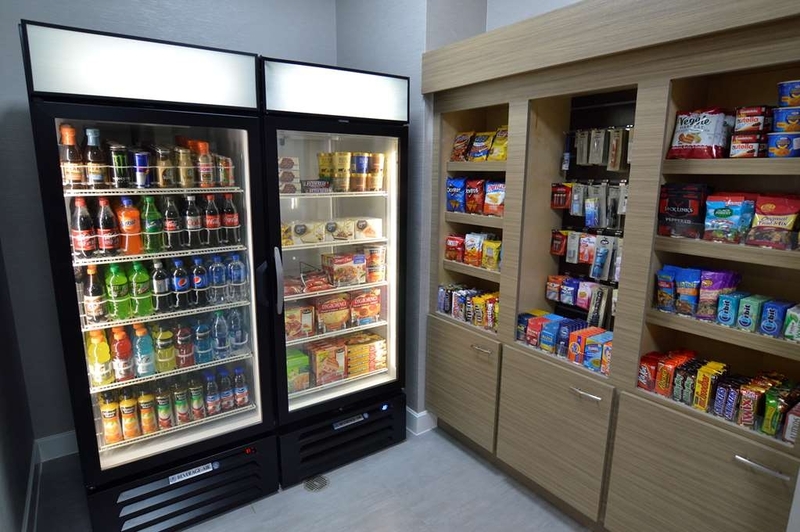 Clean hotel equipped with plenty of amenities. Staff was very friendly and helpful. 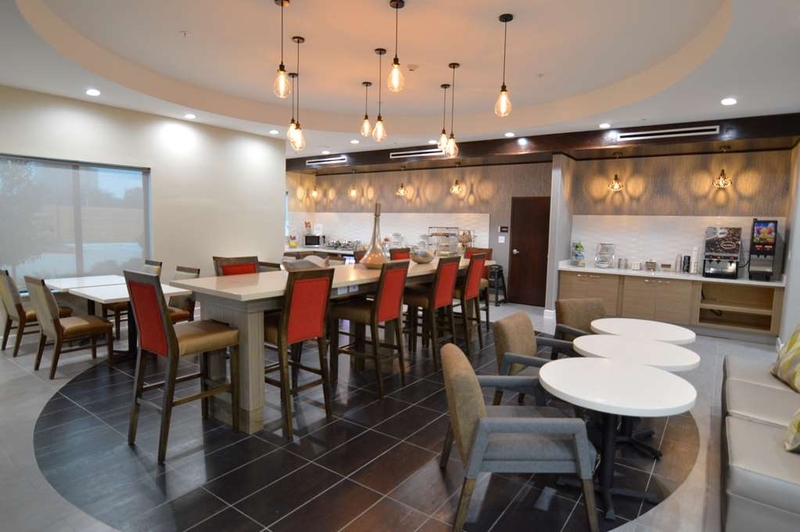 Paul, We are glad you enjoyed your stay with us, (minus the Houston traffic...) and that we were located close to several of the conveniences that we like.We hope to see you again next time you are in our area! 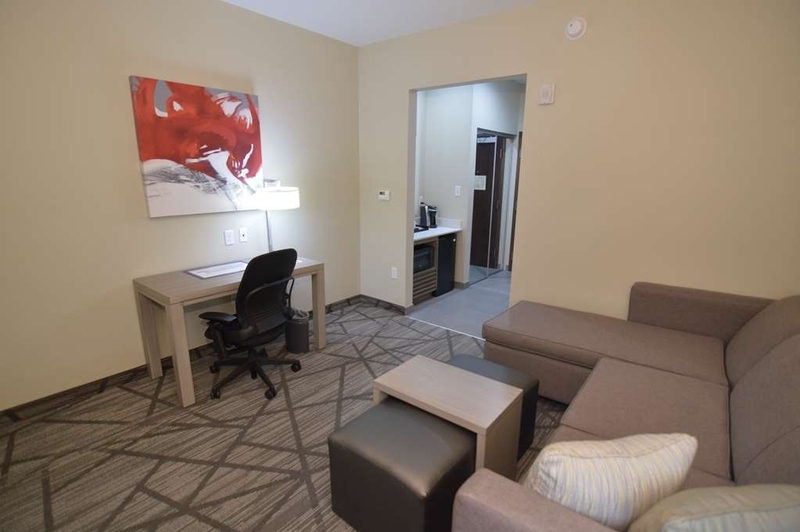 Nice safe place to stay.. travel here every week to work its in a good location..plenty of places to eat around homedepot,Walmart,academy EXT, also great company rates if you plan to stay for extended time.. very nice staff, clean rooms,comfortable beds, very nice showers, and direct tv! Everything you need for a nice stay. And also in the mornings very great breakfast big variety! Definitely will continue to stay here again and again!! Thank you for your nice review of our location. We are glad to hear we were in a convenient location for your trip. 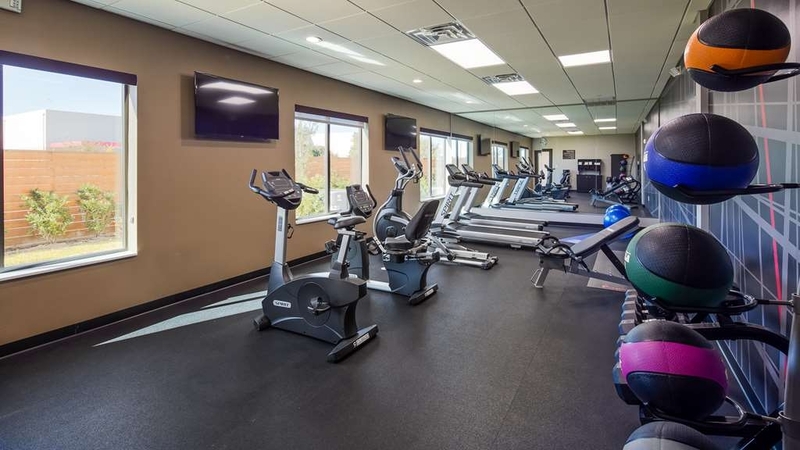 Either on business or leisure we have something for your everyone. Hope you stay with us again next time you are in our area! We traveled in a day earlier from another city for an international trip from IAH airport. It was close (about 10 minutes) to the airport and parking. The hotel was very easy to find, right off I-45. I was very impressed. 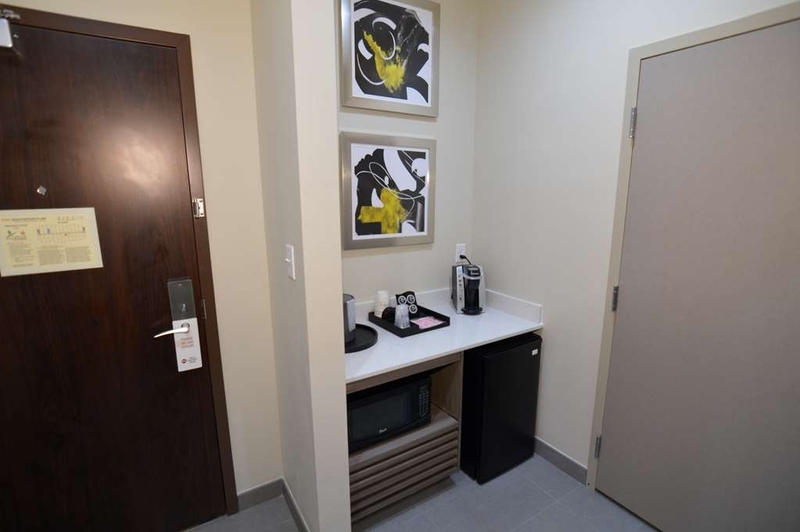 The hotel is relatively new and the rooms were spacious and clean. The staff seemed very nice. The included breakfast was by far the best I've had at a hotel. 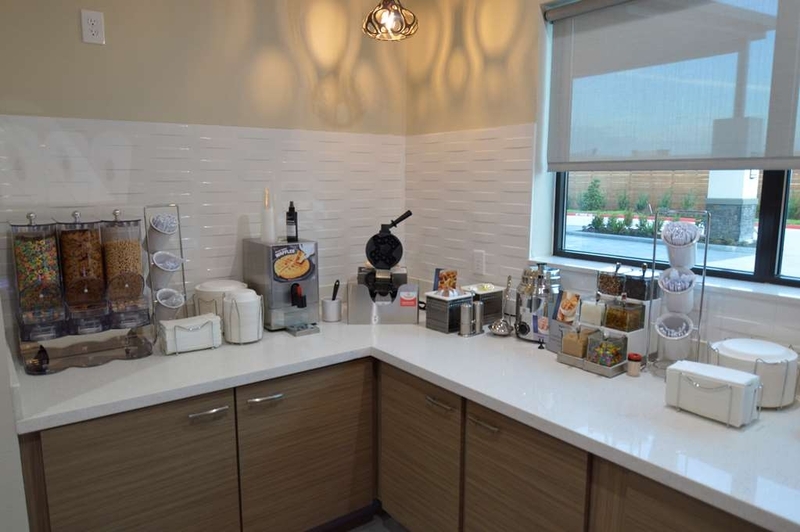 They had hot and cold selections, including a waffle maker in which you could make real waffles along with all the toppings, scrambled eggs, boiled eggs, bacon, 3 types dry cereal, fruit, all types of pastries and muffins, and even a "grab and go" selection in a bag. They had a juice machine and a coffee machine which worked after hours. It was a wonderful treat, was very clean and was presented very well. We loved this hotel so much that we booked it again after returning from our trip! There are plenty of restaurants in close proximity as well as shopping. Walmart is in walking distance. We would definitely stay here again. Im so glad you let us know how were doing. 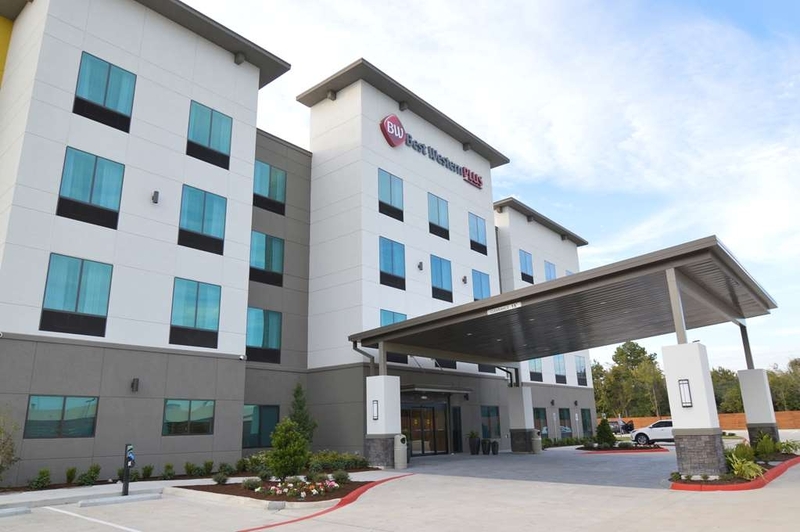 We are glad you chose to stay with us during your recent trip to Houston and that we were easy to locate for new guest coming into the Houston area from Bush Airport (IAH). 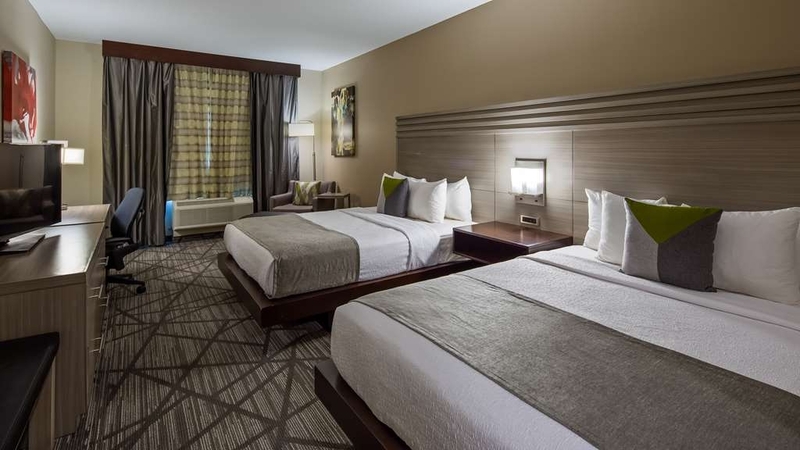 Our staff prides itself on providing a great stay and experience for all our guest. 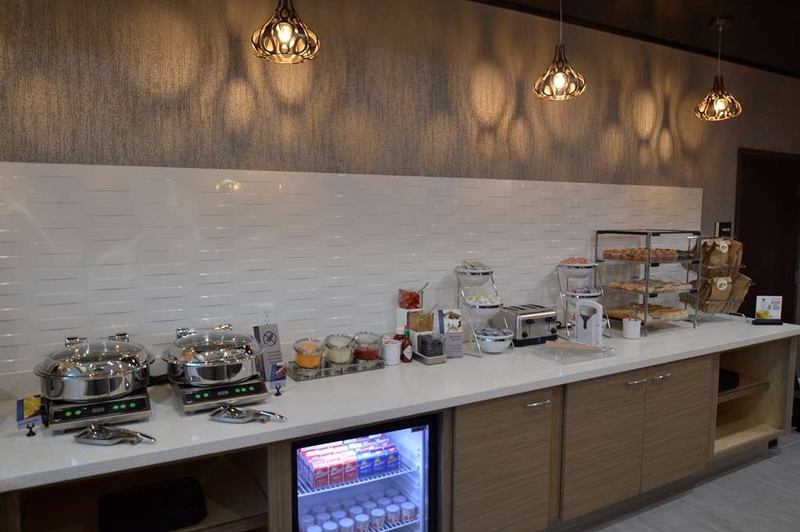 Knowing you loved the selections we provided and loved the breakfast makes me happy :) We love when our guest tell us they will return to stay with us again! No need to be alarmed by what you may have heard about the Greenspoint area, I felt very safe. 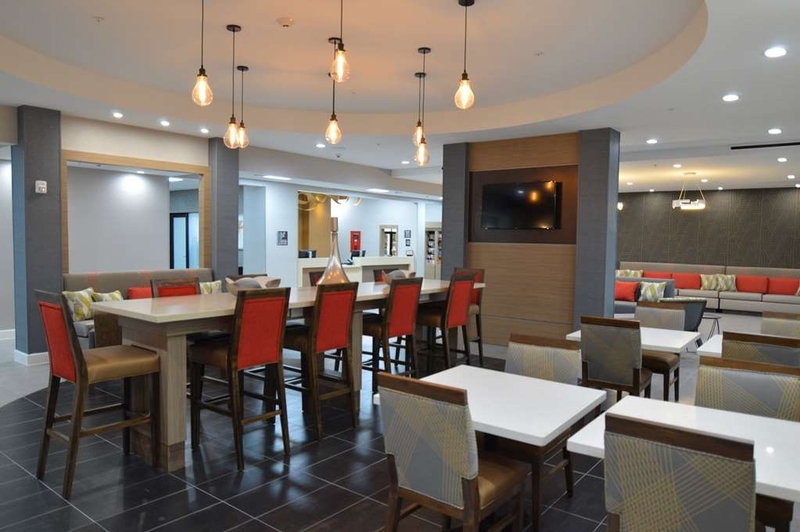 Nice new hotel that is away from the busy highway, yet close to many restaurants and shopping. It sits amidst the industrial and warehouse area. Friendly and courteous staff. I appreciated the call I received from the front desk shortly after settling in to make sure I was satisfied with my room. Beds are very comfortable. Several healthy options for breakfast. I now visit the city often and will definitely book this hotel again in the future. Yes! We are so excited that you recognized that the "Greenspoint area" has changed. We are striving hard to help our community move forward in a new direction and are excited for others to stop by and check us out. 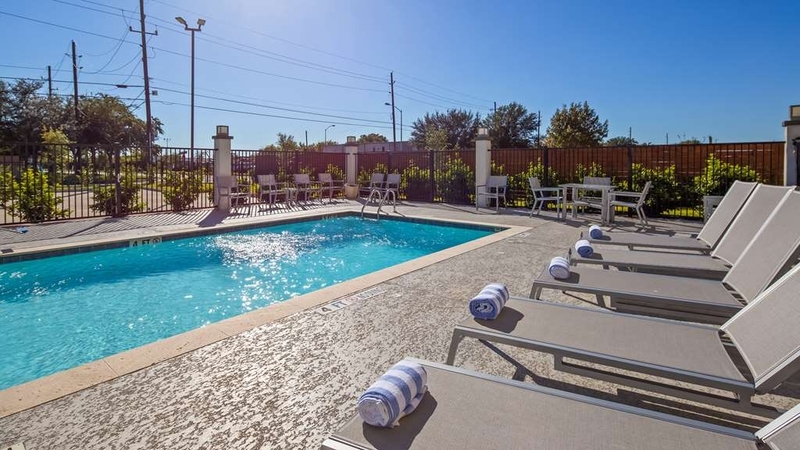 The North Houston District has a variety of shopping, restaurants and other great places that are conveniently close to our hotel. We are delighted you enjoyed our breakfast and that you chose us for your travel needs! We hope to see you again. "Excellent new hotel convenient to I45"
Was not sure what to expect, especially when I pulled up and there were trucks all around the hotel area--did not feel unsafe, just not the normal hotel feel. Hotel has only been open a few weeks and is very nicely done. Staff is sparse but very nice and willing to be helpful. I look forward to future stays when business brings me to the area. Dear Valued Guest, Thank you for your positive feedback. We are delighted to hear you enjoyed your stay with us. Being in a highly industrial part of town we are doing our best to prevent the large trucks from blocking our entrance and happy your chose to stay with us. 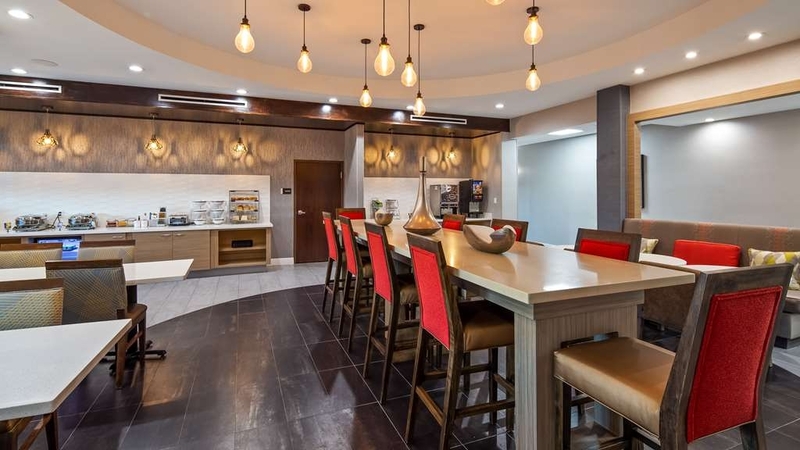 I'm glad you enjoyed the contemporary decor, and hope you stay with us again next time you are in the North Houston area! I tried to book a room in Downtown Houston but they were booked up. Instead this place was the nearest to me. The room was amazing by any standards the staff not so much. Had a bit of a hang up checking in and also with me requesting a late check out. Got it all worked out be it was a damper on an other wise great stay. I apologize your stay was not perfect. 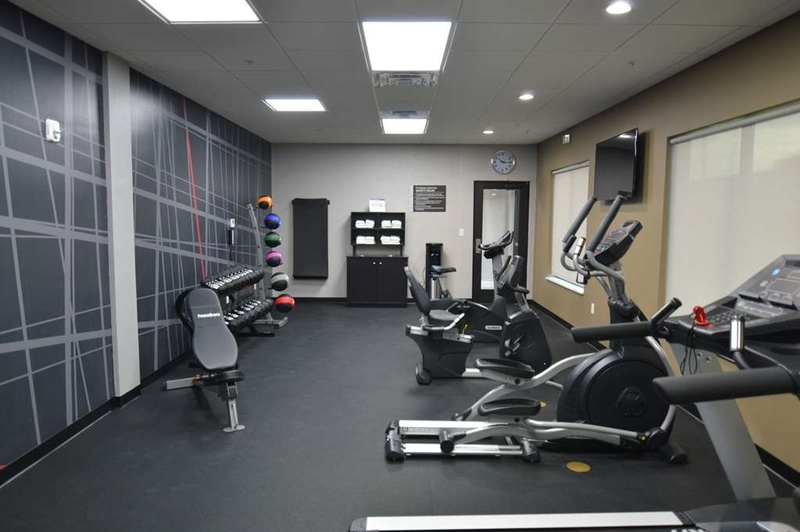 We are a newly opened hotel and we appreciate our guest feedback good or bad so we may train our staff, and work on any problems we may have to be able to provide a better experience for our guest. We hope you can give us another chance next time you are in the Houston area. Once again thank you for staying with us!